You will often hear the words leadership and management used interchangeably, however, leadership and management actually refer to separate concepts. The reason for this confusion is because leaders often need to have management skills, and managers often need to have leadership skills. Wikipedia defines leadership as the “process of social influence in which one person can enlist the aid and support of others in the accomplishment of a common task.” It defines management as “the act of getting people together to accomplish desired goals and objectives.” What you need to understand is that the leader is followed, whereas the manager rules – this is the core difference of management vs. leadership. Managers have formal power over the people who work for them, their subordinates. Their subordinates perform the tasks which the manager requests are done. The aim of the manager is to maximise the output of the team for which they are responsible, according to some constraints, usually a combination time, quality, and cost. Managers are good at planning: they need to plan projects, ensuring controls are in the right place, along with allocating resource and ensuring the work is performed with the minimum of waste (lowest cost). Managers focus on the now: they are concerned with who is doing which tasks right now. Again, this can be directly attributed to the fact that managers are paid their salary to get things done (maximize output). Leadership is guiding a group towards achieving the best results. Leaders do not have formal power over followers. The followers are not subordinates and are following the leader of their own free will, in essence, because the leader makes them want to. However, in companies and organizations leaders will often have formal power in the form of subordinates because they are managers in addition to being leaders. Leaders have a people focus: leaders are focussed on people and how people can be influenced. This means that leaders are interested in relationships, inspiring others and even listening. Leaders are about vision: a vision about the future and the change which is needed to get there. The table below highlights the difference between managers and leaders in terms to what they seek and how they operate to give you a deeper understanding of the differences between managers and leaders. Obviously program management leans more towards leadership than project management, but both project and program management have elements of both leadership and management within them. A project will not deliver without plans and someone overseeing its execution (management). Likewise, leadership of the team is needed – to inspire the team to want to deliver the best they can possibly deliver. If you imagine a straight line running from 100% leadership at one end, to 100% management at the other end, then project management roughly lies at 70% management (30% leadership) and program management lies roughly at 70% leadership (30%management). This obviously depends on the type of project or program being managed but it should give you a working understanding of the differences between the two roles. 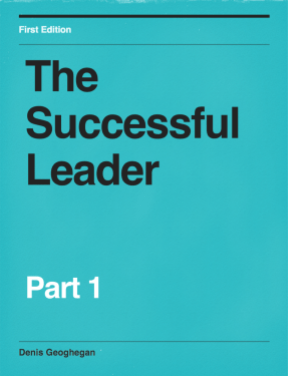 In this article we have covered the fact that managers rule people through formal authority, whereas leaders are followed by people of their own accord. Leadership and management are separate concepts but leaders often need management skills and managers leadership skills. We’ve also seen that project management leans more towards management than leadership, and program management more towards leadership vs. management. Leaders optimise upside opportunity, Managers minimise downside risk. Both together are needed in appropriate balance to optimise returns.